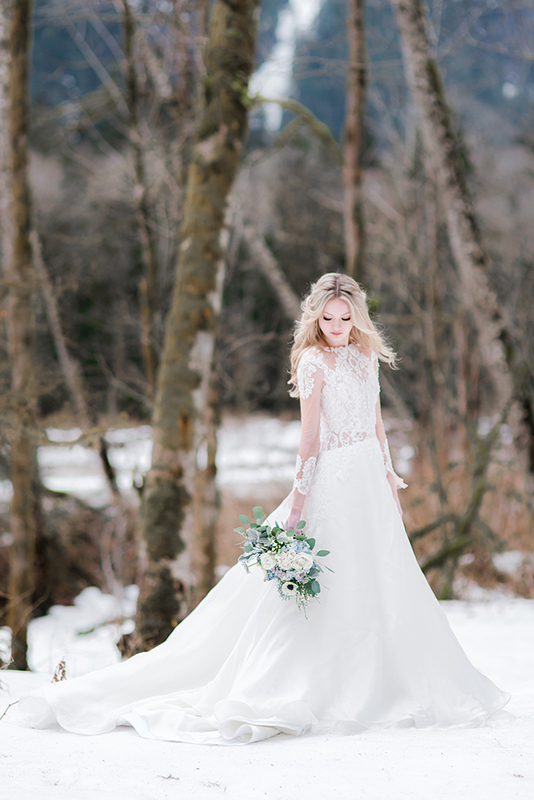 The last month of winter is almost on and it’s high time to enjoy gorgeous winter wedding shoots that inspire to get married in such a charming season. 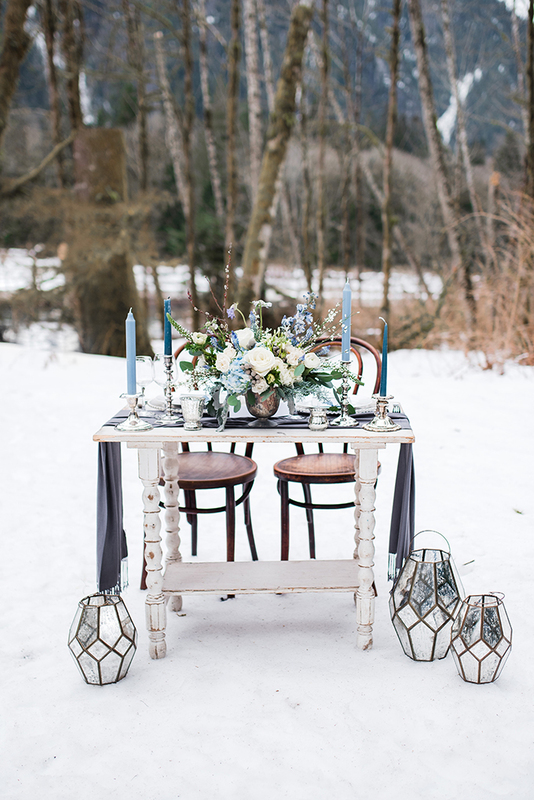 This snowy icy blue is styled shoot from Simply by Tamara Nicole; inspired by the winter season, this team created a romantic scene with a soft color palette of blues and grays. 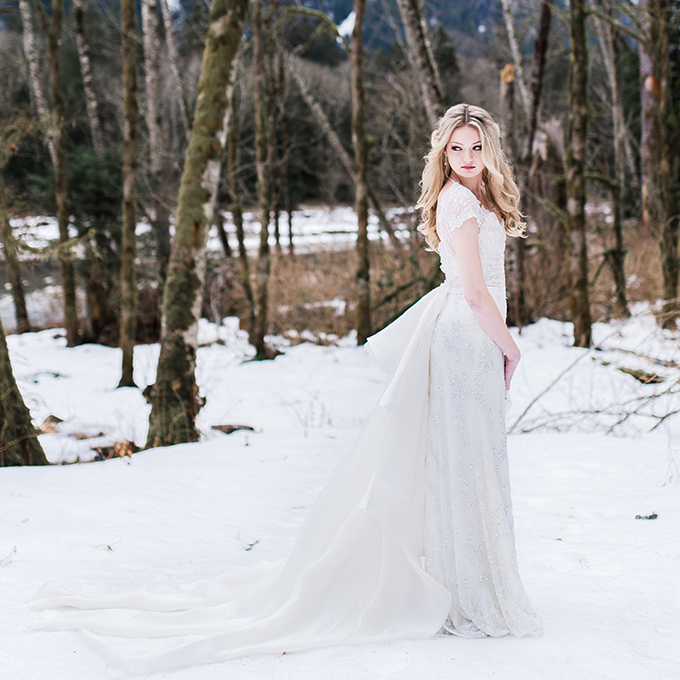 The stylist was inspired by a natural space with just a small amount of snow along with the beauty that nature provides in the Pacific Northwest. 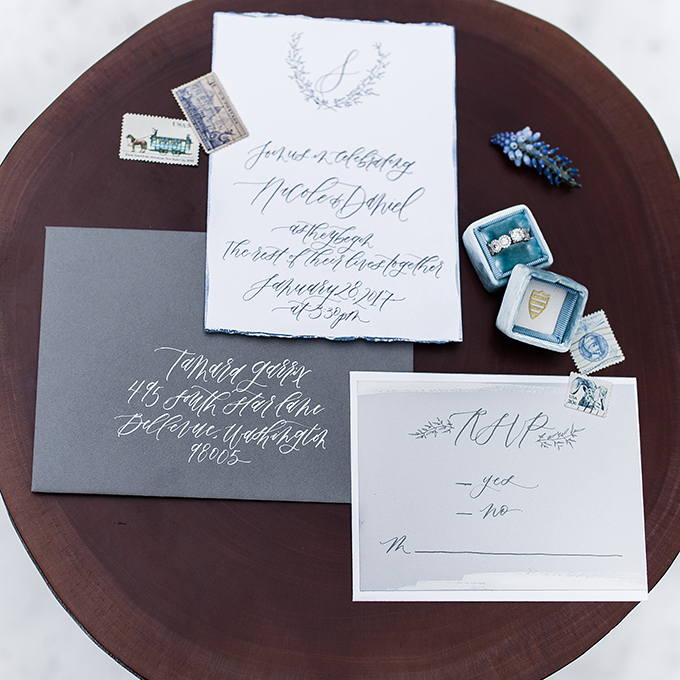 The small details from the dusty blue décor and couture white dresses floating over the snow to the wonderful creativity of the paper goods by Krisanna Elizabeth and wonderful rentals were just the icing on the cake. The florals were by From the Ground Up Floral. 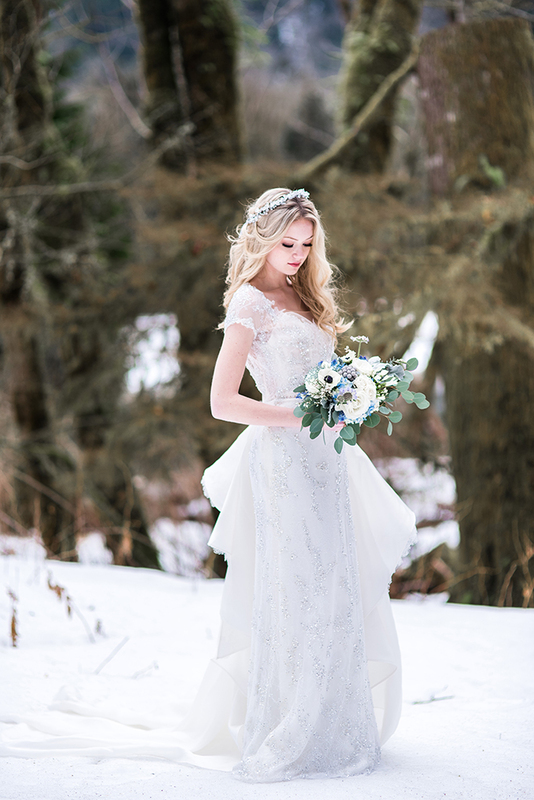 She was inspired by this crazy time of the year when you can start to see the spring flowers available, but there’s still snow on the ground. 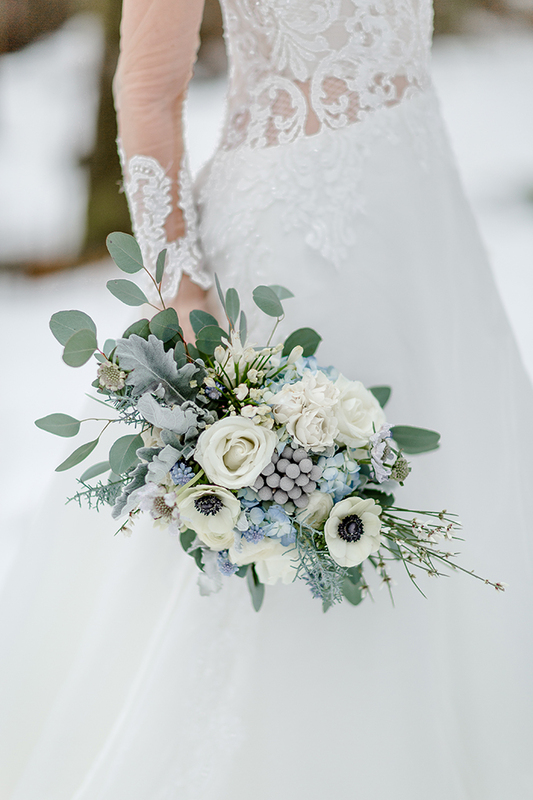 The dainty muscari and genestra in the bouquet smelled so much like spring without being too visually reminiscent of spring like daffodils or tulips. 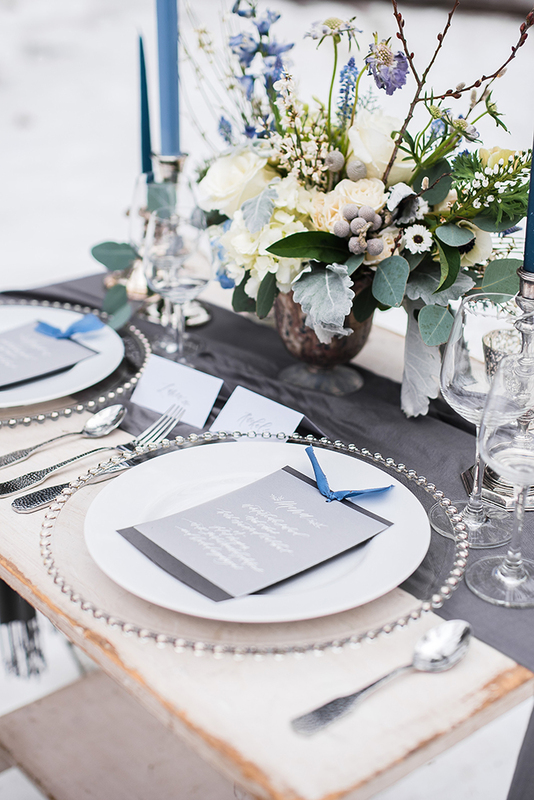 The light blue plays so well with the icy cedar and soft grey velvet. 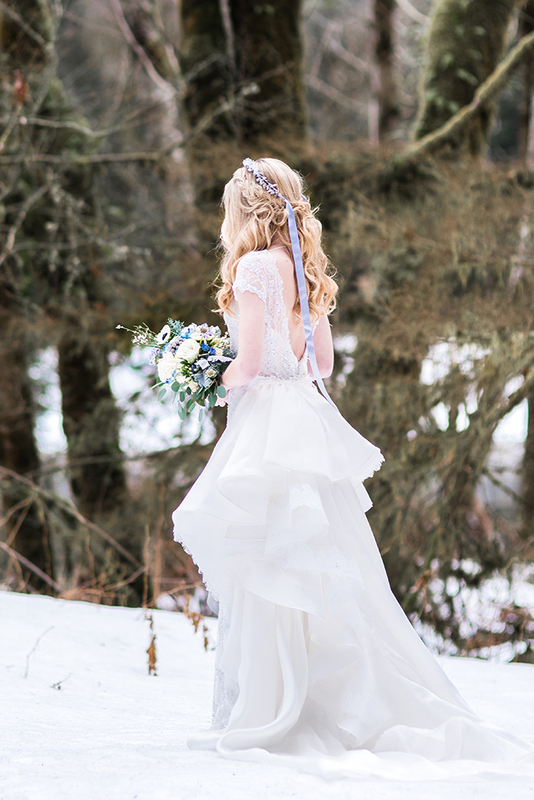 The bride showed off two different wedding dresses: a lace maxi gown, which is an illusion two piece dress with sheer lace sleeves and an embellished maxi gown with short sleeves and a ruffled overskirt on the back. 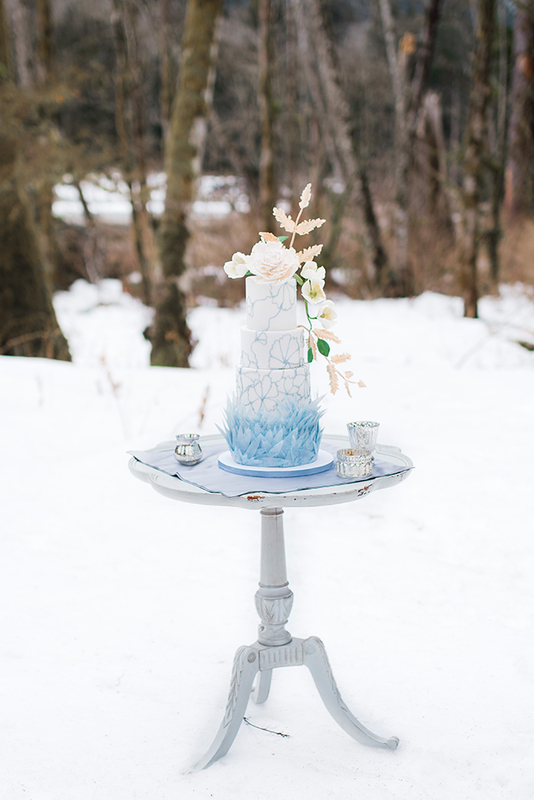 The cake stole the show with gorgeous cascading sugar flowers and icy shards making one creative and beautiful statement piece!